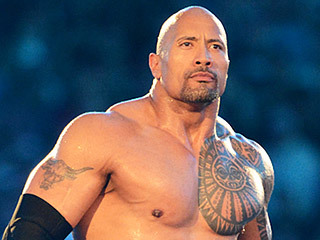 Now, as The Rock week continues, we had to talk about some of his greatest rivalries. When you think of great feuds in the Rock's career, some people might get his greatest feuds confused with his biggest matches. 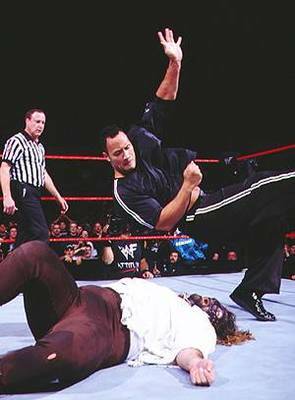 The Rock and his feud with Hulk Hogan was not a great rivalry and only result in one actual good match. His rivalry with John Cena was pretty bland and I didn't like their whole dichotomy, and I only enjoyed Rock vs Cena 1 at Wrestlemania 28. 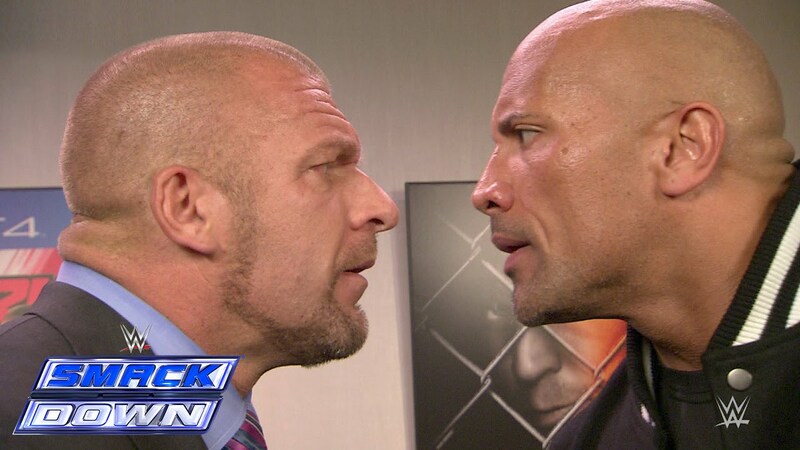 Now, outside of those two matches and feuds, over the years Rock has built up quite a catalog of classic feuds. Today, we discuss his top 5. Let's get into it. -This is the feud that made Rock the true star he is. Rock was in the Nation and had just received the Intercontinental Championship and this was the first feud he would have. 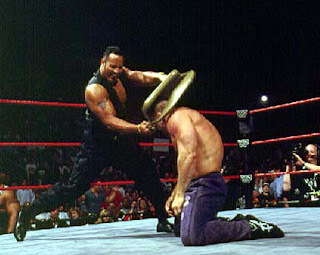 This feud ran from January 1998 til June 1998 when Shamrock defeated the Rock in the Finals of the King Of The Ring tournament to win the crown. 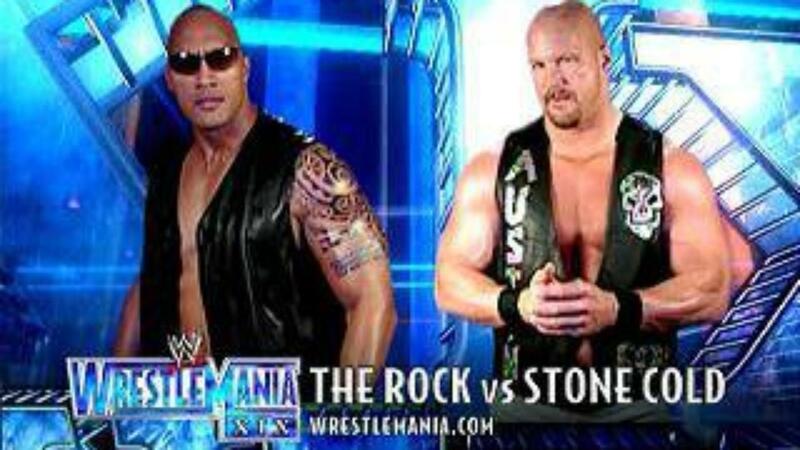 This rivalry is underrated and it gave Rock a chance to flex his promo skills, as well as let Shamrock have a true heel to play off. Great chemistry between the two men and a great feud overall. -Now, this is yet another underrated feud. Jericho was on the come up and it looked like The Rock stood in his way. The Rock was the WCW Champion at the title on WWF programming and his feud with Jericho would officially start leading up to No Mercy 2001. 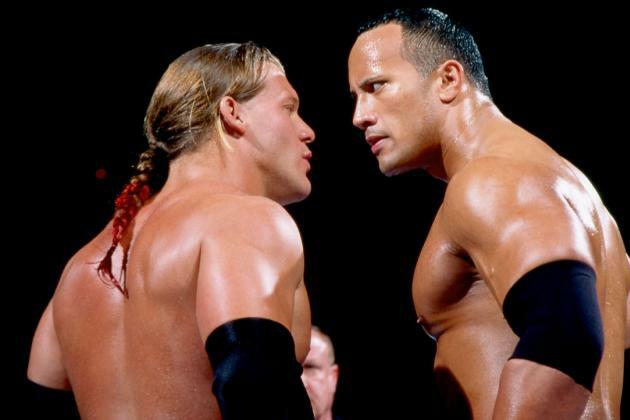 Now, the true origin began in their electric promo on the night of Jericho's debut, but their classic match at No Mercy 2001 was the true beginning of an amazing feud that would last four months. Rock and Jericho would fight at No Mercy, have a great match on RAW, another fight at Vengeance, and a final title match at Royal Rumble 2002. All these matches they have here were great and some of the most fun matches of their careers. Jericho seemed to gain the upper hand during this feud and he never really looked back, as he and The Rock created something special. 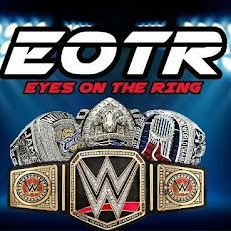 -This is a feud that lives on in infamy in many ways. 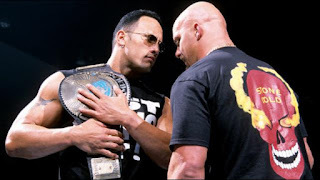 Short, but sweet if you will, this feud first began in September 1998 during the triple threat match with Ken Shamrock at Breakdown, and it really kicked off with The Rock turning heel to join the Corporation at Survivor Series 1998. What followed was a series of amazing matches including a No DQ match, a match that saw Foley win his first WWF Title, an I Quit match, a Last Man Standing match, a Halftime Heat match, and even a ladder match for the title on RAW. This feud did just about everything possible and not one of those matches disappointed. Legendary rivalry. -Some feuds never die. For Rock and HHH, this might be one personally. There is still animosity on TV between the two, and many feel this could be a possible match going into Wrestlemania 33, as their last matches if Orlando does host it. 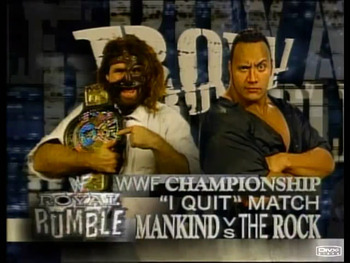 Needless to say, this is the Rock's most storied rivalry easily. 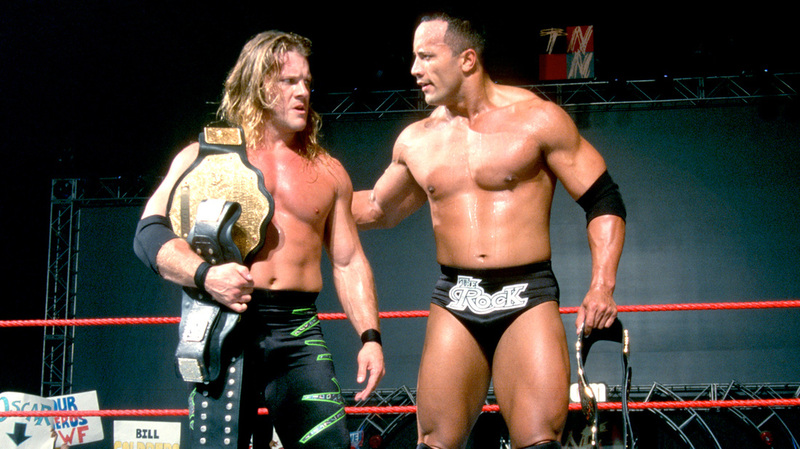 He won his first IC Title from HHH in February 1997, then the two rekindled their feud in 1998 as the Rock led the Nation and HHH was leading DX. 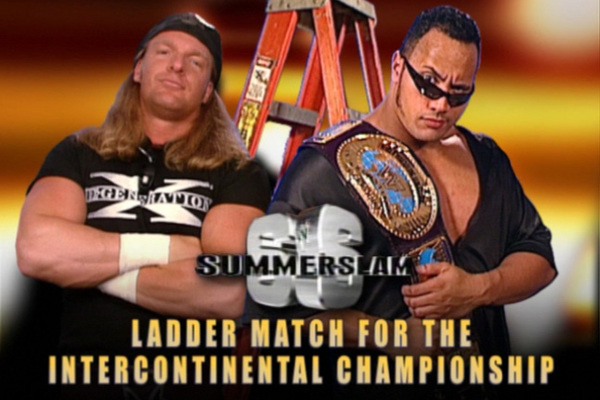 This would result in a superb 2 out of 3 falls match at Fully Loaded 1998, a ladder match at Summerslam 1998 for the IC Title, a Strap match at Fully Loaded 1999, and even an Ironman match for an hour at Judgment Day 2000. My favorite match of theirs personally is Backlash 2000, but they have some classics to choose from. 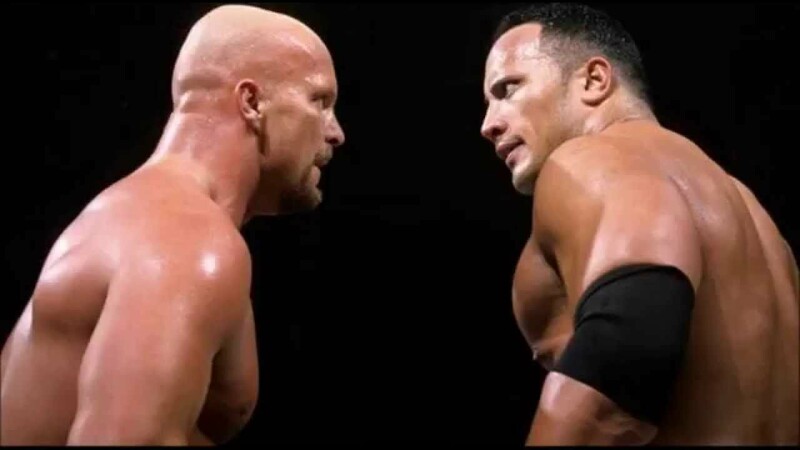 From 1998 to 2000, this was one of the premier feuds in wrestling and it deserves its place as such. -The two biggest stars in WWF history. The biggest feud in history of the WWF. Austin vs Rock transcended the business and broke barriers. The basis of an epic Wrestlemania trilogy began way back in late 1997, as Rock and Austin feuding over the IC Title. With that resolved, they would cross paths vaguely until the big match at Wrestlemania 15 for the WWF Title. From that point, both would be seen as the two most popular wrestlers in wrestling and they would have electricity between them every single time they were in a ring together, even if it was just a promo. 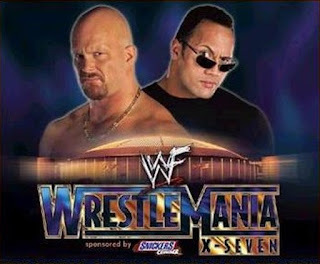 Now, their Wrestlemania 17 match and feud is likely one of the best short feuds ever and one of the best Mania main events, full of drama and a bit of suspense. Their final chapter, at Wrestlemania 19, finally saw Rock get his victory over Austin, and the book was closed on this feud, but it remains the most epic feud of not only the Attitude Era, but the careers of both men as well. 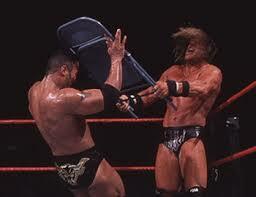 When thinking of the Rock and his best feuds, this one always comes to mind first and it deserves this no. 1 spot.